Using QuickBooks Pro, Premier, Enterprise or POS provides you with the opportunity to use a receipt printer for the smaller professional looking receipts to hand to a customer upon receiving payment. This is a great option for the retailer to provide the customer with a professional receipt with all the details. It also makes providing the receipt a one step process into your accounting records. No more hand written receipts and the time spent entering the information at a later date into QuickBooks. Your inventory is current with every receipt. Time and money are closely related…All employees will be using the same procedure and items list to provide a legible receipt. It will have a date, payment method and items purchased along with the correct taxable and non-taxable totals, making it much easier to balance out your daily sales as cash, checks or credit cards. Having consecutively numbered receipts reduces the opportunity for employee fraud and theft. The receipt printer can be at your sales counter and measures 5 ½” x 8”. It will connect to the computer ringing the sales into your QuickBooks program. The printer does not need expensive ink cartridges since it uses thermal paper which can be purchased at your local office supply store. I have set up the receipt printer for businesses who wanted the ease of receipts but were not ready to make the jump to the POS system. 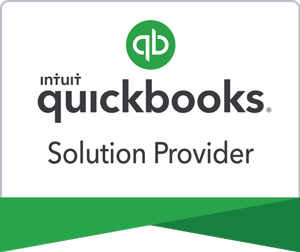 Now they have the smaller receipt, current inventory transactions recorded at the time of sale and no longer have to do “after the fact” sales entries into QuickBooks Pro, Premier or Enterprise. If you want your business to give off the air of success – print it out for your customers to take with – a professional looking receipt. I can customize your sales receipts and have you up and running in less than a day! Please call Sandy VonDeLinde at 612-245-8979 for more information.